Vineyards around Mount Etna produce remarkable wines. Each vineyard has its own personality and approach to wine making. Many combine grapes from different parts of the island with those grown on the slopes of the volcano. The result is a bouquet of aromas and flavors that range from lemony citrus and earthy olive to nutty pistachio and hints of flowers, to name a few. Vino-files could spend an entire vacation hopping from vineyard to vineyard just around the circumference of Mount Etna. 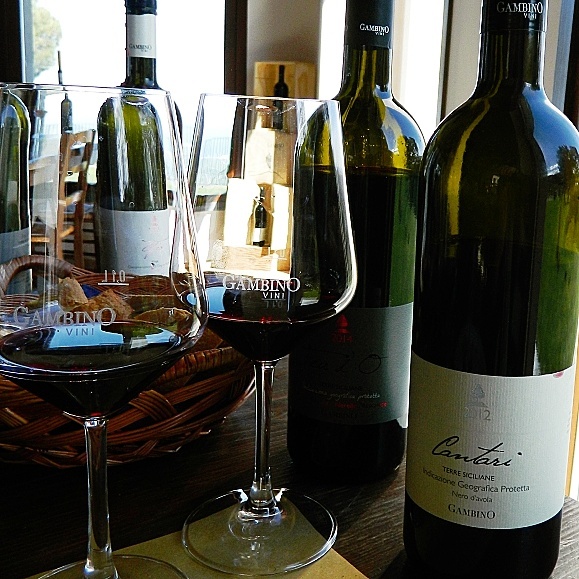 Gambino Vini (This picture is from my visit in April.) is just one of dozens of producers to explore. On our September Enchanting Sicily tour, we’ll be spending a half-day tasting and learning about wines on the slopes of Mount Etna.